It’s inevitable – as you age, gravity takes its toll on your skin, and fine lines and wrinkles slowly creep up on your face. First, you may notice a couple lines between the brows and think to yourself you need to stop worrying so much. Next come the laugh lines, and before you know it you’re showing signs you are no longer a spring chicken but a mature, responsible adult constantly battling the stress of daily living. Although we can not avoid aging, looking your age absolutely is absolutely unavoidable – especially with ThermiSmooth facial rejuvenation treatments. As you grow older, your body produces less collagen and is unable to repair the skin as effectively and unable to return the skin’s initial elasticity. ThermiSmooth treatments bring back natural fullness to your face and encourages growth of collagen and elastin to fill in fine lines and wrinkles. You look younger and feel your best at any age. Restorative ThermiSmooth is used to smooth and tighten skin around your eyes, mouth, and cheeks, eliminating the worry lines your teenagers gave you, the smile lines from all the amazing times you experienced happiness, and the forehead lines from the excitement of cheering on your favorite team. Crow’s feet, lip lines, and other unwanted signs of aging are quickly erased, possibly in as little as one treatment. ThermiSmooth can also be used as a preventive measure, perfect for young women in their 20s, 30s, and 40s who want to avoid seeing those annoying signs of aging before entering middle age. Preventive ThermiSmooth can also be used around the eyes, mouth, and cheeks to stop the clock on the aging process. ThermiSmooth face smoothing treatments are performed with a hand piece that gently heats the surface skin of the face. The smoothing procedure heats only to therapeutic temperatures to encourage new skin growth through the production of collagen and elastin. These skin-building proteins renew skin cells damaged from exposure to the elements, hormonal changes from pregnancy, and / or excessive weight gain / loss throughout your lifetime. There is no need to rearrange your life for ThermiSmooth, as there is no downtime required afterward. You can drive yourself back to work, to your important business meeting, or to a lunch date with your friends. No one will ever know you just received the latest and greatest anti-aging treatment available without plastic surgery. However, you may want to just go home and relax, as having a ThermiSmooth treatment feels as relaxing as a day at the spa. A day or two after ThermiSmooth, you may experience a temporary improvement from swelling. ThermiSmooth results are visible after several treatments, as it takes time for the biological anti-aging process your body goes through to take effect. To maintain your youthful appearance and prolong results, you may need annual treatment. 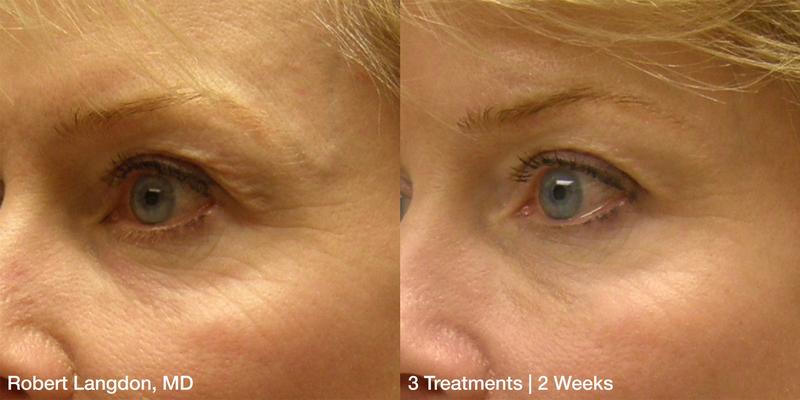 ThermiSmooth can be combined with dermal filler injections for age-defying, dramatic improvement. Tell Father Time you’re in charge of the clock now with ThermiSmooth anti-aging facial rejuvenation with Dr. Rosenstein. As your selected ThermiSmooth provider, Dr. Rosenstein brings 20 years of hands-on comprehensive experience in aesthetic services to his practice. Call us at 561-736-9800 today for your free consultation for ThermiSmooth in South Florida.